This product is sold as shown as a custom ready board. Customers are responsible for their own customization supplies. We do not offer customization services for this product. Great for your next promotion! Whether you have an important business tradeshow to attend, need something new and exciting for a fundraiser or annual meeting, or need a fun game for your child's birthday party or school carnival, Drop Zone Express is the perfect product. 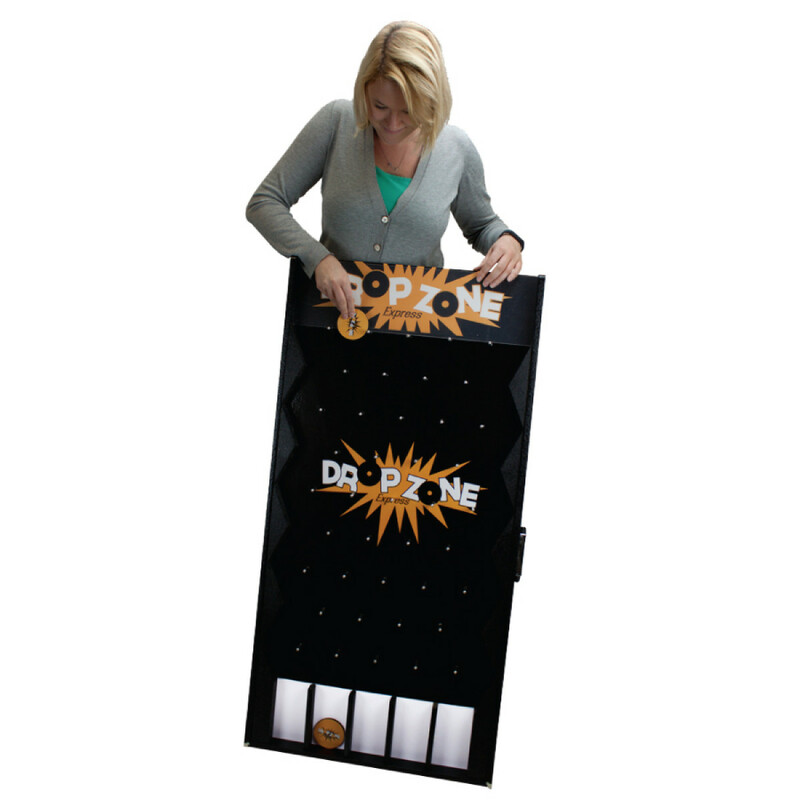 A removable plastic panel at the top of the game allows you to customize the product for your specific needs. For example...you may want to have your company name or the name of your child's school. Maybe you want it to say Happy Birthday. It doesn't matter! 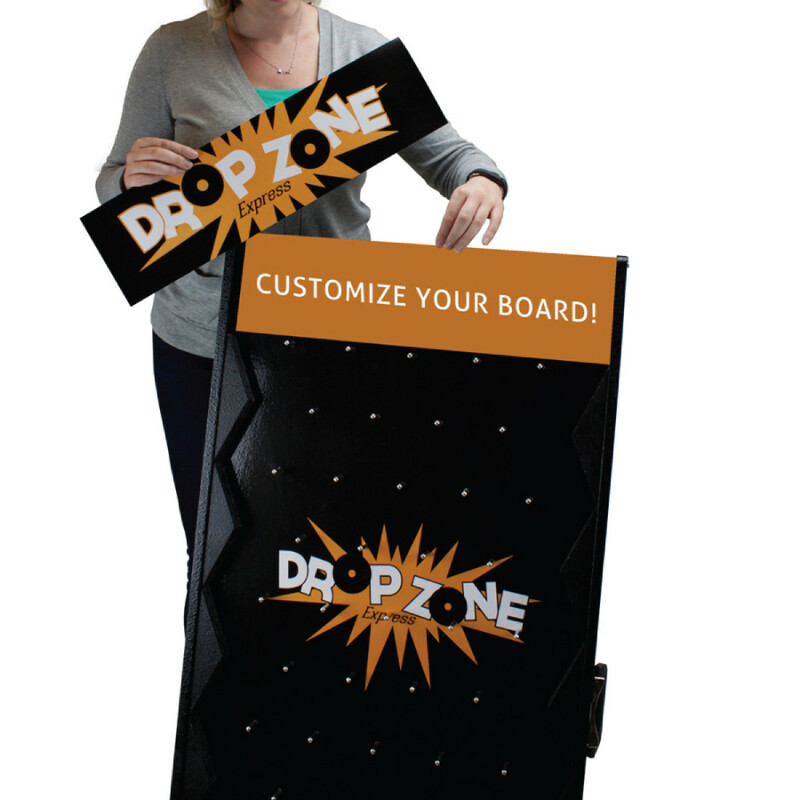 Drop Zone Express is customizable. 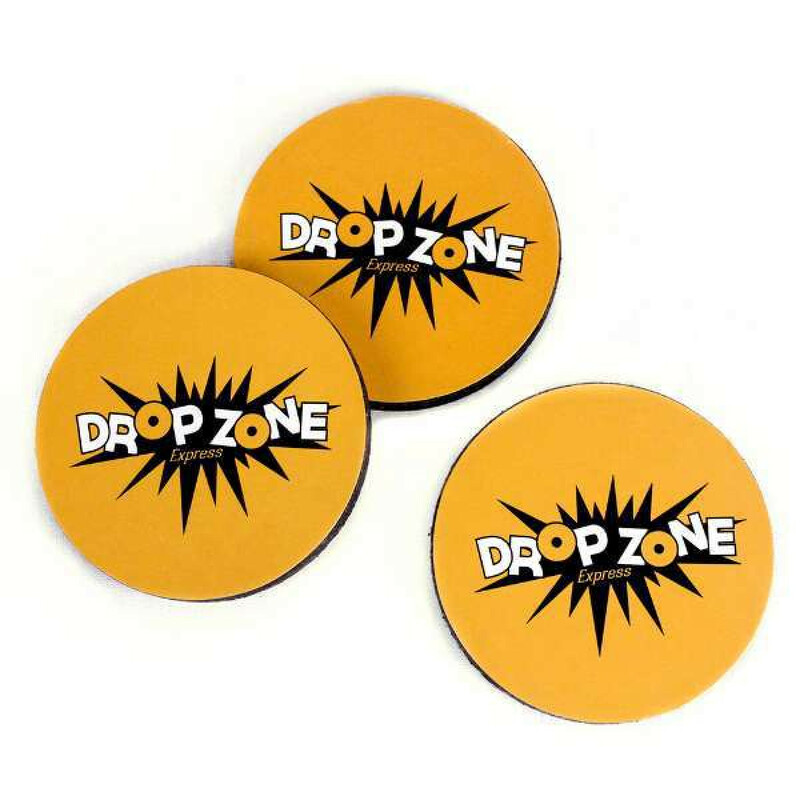 Each game comes with 10 pucks that measure 3 inches in diameter. The bottom of each of the five prize slots is customizable, so you can create and insert images or whatever prize or point system you desire. 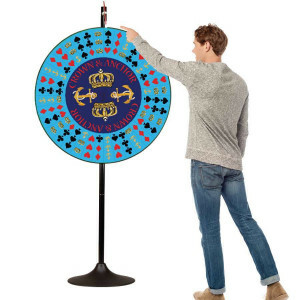 Each prize slot measures approximately 3.5 inches wide. The possibilities are endless with this fun, customizable game. 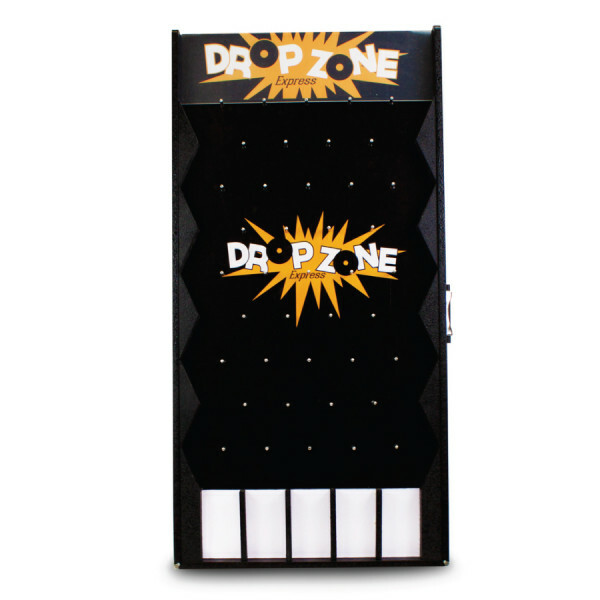 All four corners of Drop Zone Express are reinforced with steel covers for added durability, so you won't have to worry about chips or nicks in the paint. Drop Zone Express measures approximately 4 feet tall and 2 feet wide. 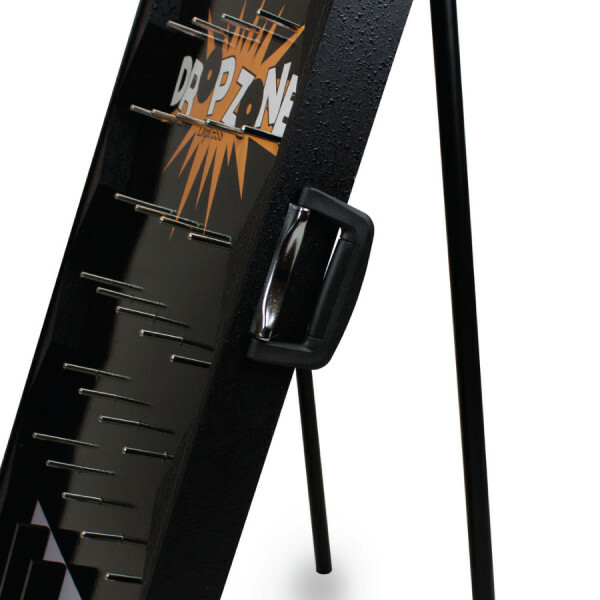 It assembles in seconds, using a back brace support to keep it in an upright position. A handle is mounted to the side of the game for easy travel and portability. 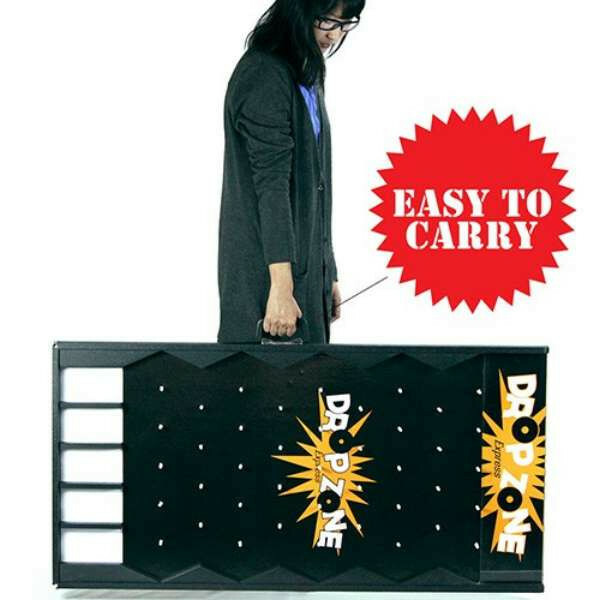 Best of all, replacement parts are available for Drop Zone Express if you need them. From pucks to pegs, we have you covered! 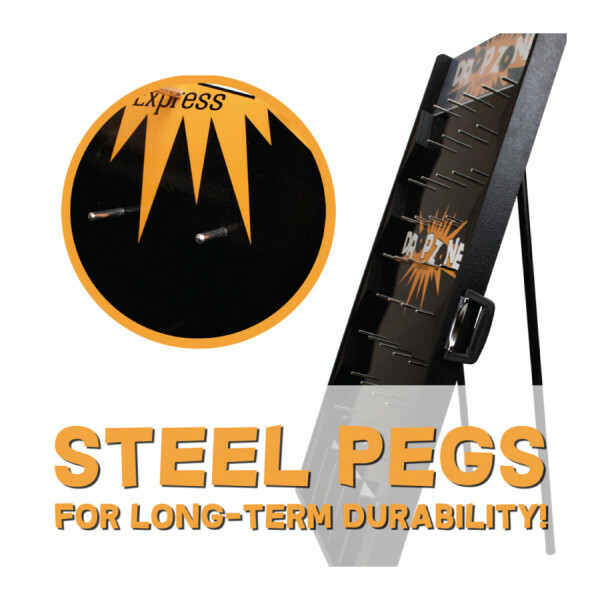 Your guests or customers will love hearing the classic "plink, plink, plink" sound as the pucks travel through the steel pegs. 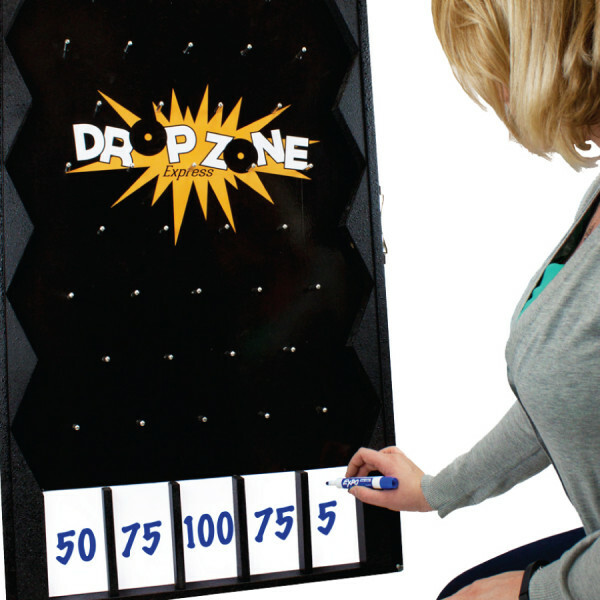 Excitement and anticipation will run wild as people wait for their turn at Drop Zone Express!